Skunk2 Mega Power RR exhaust systems are based off of the exhaust systems we custom build for our road race and time attack cars. 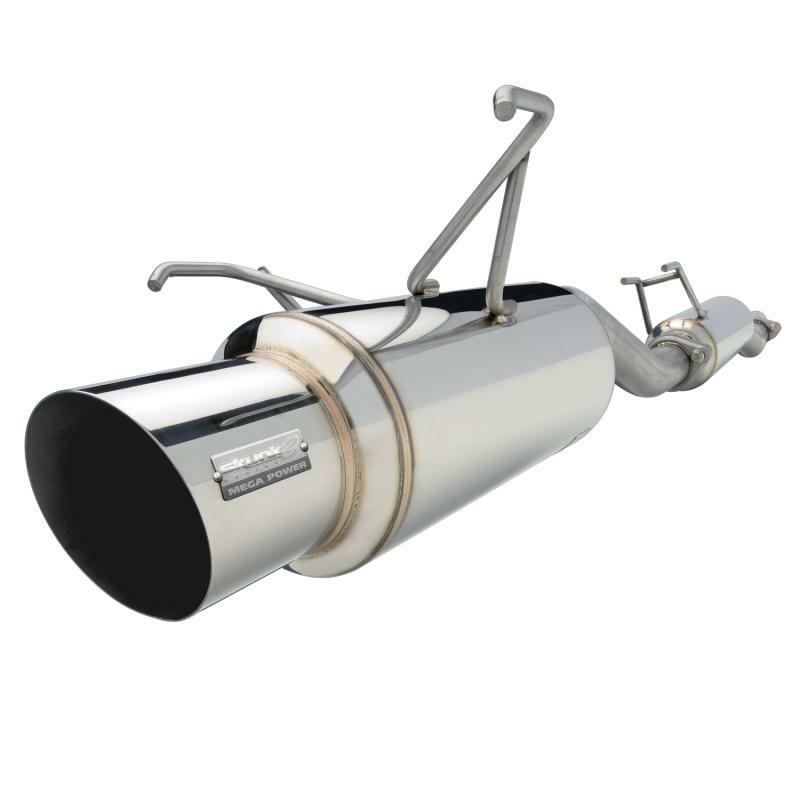 These systems are designed for highly modified naturally aspirated or turbocharged applications that require more exhaust flow than what is achievable with the our standard 60mm Mega Power and 70mm Mega Power R exhaust systems. Dyno-proven for maximum horsepower, Skunk2 Racing Mega Power RR cat-back systems are constructed from T-304 stainless steel, are robotically TIG welded, and feature CNC mandrel bending which allows the tubing to maintain a constant diameter throughout. Each system is designed with oversized tubing and mufflers to achieve the additional flow that is required for high horsepower vehicles. A Skunk2 removable silencer and all necessary hardware are also included.